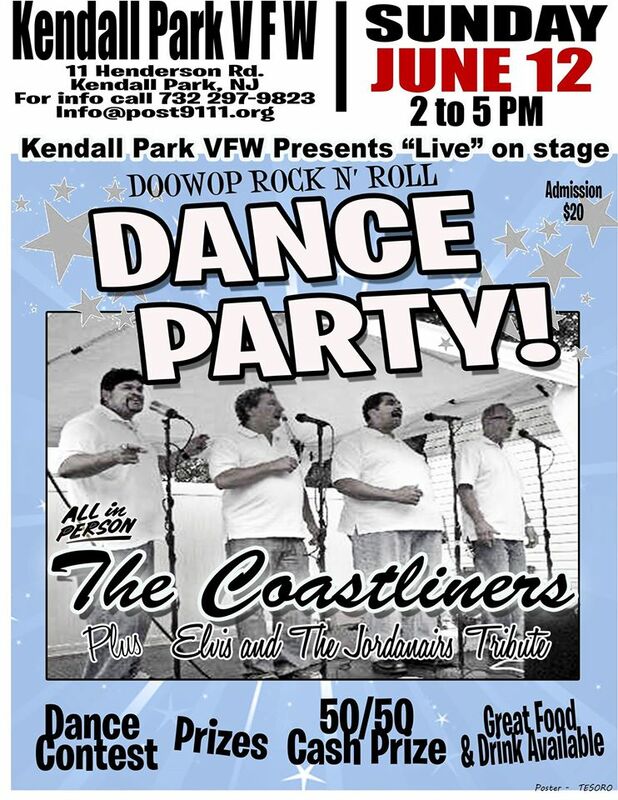 The Coastiners will present a Doo Wop dine and dance party at the Kendall Park NJ VFW on June 12, 2016. In addition to the Coastliners performing there will also be an Elvis & the Jordanaires Tribute. Great food & drink available. For info email info@POST9111.org.